I'm excited to tell you a bit more about SIM, the organization I'm going to Africa with. I'll also share more about how I found out about SIM and decided to partner with them. Throughout this post, you'll see links to other websites or to previous blog posts. These links will give you more in-depth information, and will open in a new window when clicked. SIM originally started in 1893 as Sudan Interior Mission, about the same time that Hudson Taylor founded the China Inland Mission. Three young men had a passion to bring the gospel to the interior of Africa, but at that time no mission agency would send people to the Sudan because the mortality rate was so high. Finally, after battling malaria and even the death of two of their group, SIM established its first mission station in 1902 in the country of Nigeria. Since then, SIM has joined with other organizations including Ceylon and India General Mission (CIGM), Poona and Indian Village Mission (PIVM), and Africa Evangelical Fellowship (AEF). Its name has changed from Sudan Interior Mission to Society for International Ministries to simply SIM. Today, SIM has over 8,000 missionaries in over 74 countries across 6 continents. You can read the full history of SIM here, or watch the video below to learn more about what SIM is doing around the world. I love how SIM has broken their mission down into three segments: Respond to Need, Proclaim the Gospel, Equip the Church. 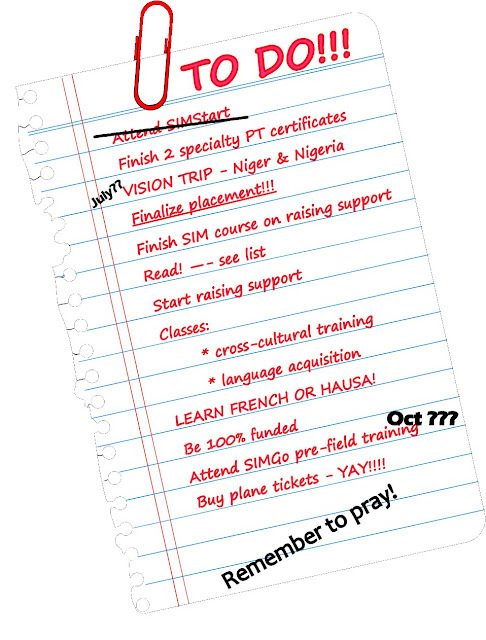 I have been familiar with SIM since I was a young child when my parents started supporting a missionary surgeon and his family serving with SIM in Nigeria. I remember seeing their photo on our refrigerator, including their family in my prayers at bedtime, and going to events when their family was back in the US on furlough (a missionary term for the several-month "vacation" missionaries take in their home country every few years). As I grew older, I read this surgeon's autobiography about his early years in Liberia, and when I was about 12 I remember sitting in the living room of a this family's relatives in Tyler, TX listening to a report of what God was doing in Nigeria. I heard stories about the Evangel hospital in Jos, Nigeria, advances in new surgical techniques including the struggles of doing surgery with electricity supplied from a generator, the startup of a prosthetic fabrication workshop, as well as stories of ministries to widows and orphans, street children, and women with pelvic/reproductive organ trauma. When I was a sophomore in college, I had to write a hypothetical grant proposal for a community development or non-profit cause. At that point in my academic career, I decided to pursue physical therapy and was extremely interested in working either with children or with those who'd had an amputation. I wanted to write my project about something unique; then I remembered the prosthetic clinic at Evangel. As I started researching, I learned more about other ministries happening at Evangel, including something called VVF which would completely change my focus for physical therapy. You can read my paper here. By the way, when my professor handed our papers back mine with a A grade and "I hope you make this happen one day!" written at the top! I started shadowing physical therapists that summer to get all of the observation hours required for my physical therapy school applications. I spent most of my time in outpatient orthopedic therapy clinics, and nearly every patient asked, "So you want to do this kind of therapy?" Sheepishly, I told them, "Well, no... I think I want to do missions." One therapist in particular was incredibly supportive and put me in contact with other physical therapists doing missions or humanitarian aid in Congo and India. She also recommended a book called "The Hospital by the River." A few days later, one of her patients recommended a book called "Half the Sky." Those two books changed my life. As I read about a VVF mission hospital in Ethiopia that was entirely devoted to restoring women's lives through pelvic reconstruction surgery, and read story after story of organizations around the world that were meeting needs in creative ways, my heart started ripping apart. I desperately wanted to be a part of something like that—something that changes the world. "... the "honeymoon period" is over. I still love it here, though. After talking with Kathy [the hospitality director] last night I realized there is NO WAY I can go back to the States and work in a PT clinic 9-5 after graduate school. I would die in that environment. Who knows where God is leading, but all I know is that He's got some amazing plans for me up His sleeve..."
When I returned to college for my senior year, I also returned with a clear passion for women's health and using my physical therapy skills in missions. During PT school interviews that fall, I was able to confidently share my dream and I think that allowed me to stand out among the other applicants. Again, I was pursuing a unique career path; no one else wanted to do women's health physical therapy, let alone international missions right out of school! Several people advised me to work for a period of several years after graduation here in the US before transitioning into full-time ministry. While that was hard to swallow at the time, I'm glad I've spent the last 2.5 years working stateside. I've been in a small town with a wonderful group of coworkers and I've been exposed to a wide variety of medical conditions (acute strokes, chronic back pain, workplace injuries, sports injuries, car accidents), ages of patients (2 weeks old to 96 years old), and practice settings (including in-patient rehab, ICU, outpatient, and aquatics). So, how did I end up with SIM? Well, after hearing about the Global Health Missions Conference from our SIM missionary surgeon friend for many years, I decided to check it out. 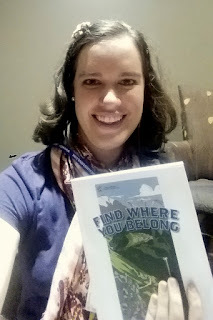 Last November, my parents and I went to the three-day event in Kentucky and heard from some amazing speakers, attended 18 different breakout sessions, and networked with hundreds of organizations that were all seeking healthcare professionals to join their work around the world. Before the conference, I searched the list of participating organizations to find ones that were involved in Africa, had opportunities for physical therapists, and were doing VVF reconstructive surgeries... And there were 3! One day over lunch, my parents and I sat down with this mission couple and other SIM staff; afterwards, my parents and I looked at each other and said, "We think this is the right place!" In the past few months as I've progressed through the preliminary application, phone interview, doctrinal questionnaire, formal application, psychological assessment, SIM Start training, and in-person interviews, I'm more and more convinced that this is the organization I need to be with. I'm excited to be joining a well-established organization with a wonderful reputation for missionary care, commitment to the communities and countries where it serves, and following God's leading in a multi-faceted approach to Responding to Need, Proclaiming the Gospel, and Equipping the Church. In upcoming posts, I'll share more about VVF, what I will be doing as a physical therapist in missions, the SIM Start training I attended in May, and my upcoming trip to visit SIM hospitals in Nigeria and Niger. I'm beginning an exciting period of training and preparation before transitioning overseas later this fall. There are quite a few things that need to be done before I am ready to leave, and I'll be writing about those in the weeks and months to come. Yeah... there's quite a bit that needs to be done. At first, it seemed rather daunting, but now I'm getting more and more excited! After a lot of planning and thinking, I decided to resign my position as a full-time physical therapist at the local hospital. I will miss my coworkers, the relationships I built with my patients (some of whom I treated multiple times in the 2.5 years I worked here), and the steady paycheck, but it was time to move on. I do plan to do some part time work in order to keep my skills fresh and to stay busy when I'm not in other pre-field training. I've felt a pull towards missions for many years—and in recent months the pull has only strengthened—but until this Spring there wasn't really a push away from my current job and from small town Texas. God is faithful and His timing is good! Just because I'm no longer working doesn't mean I'm lounging around the house in my pajamas! Well, I don't think my mom would let me, even if I wanted to! I just returned from a three-day continuing education class in Florida for pregnancy and postpartum physical therapy. This was the second of two such courses required to earn a certificate from the American Physical Therapy Association in pregnancy and postpartum PT. Now, I have to write up a case report on a patient, get that approved, and then I'll have my certificate. Thankfully, I had a lady with some postpartum complications come through the clinic a few months ago, and I think her case would be perfect for this assignment. Some of you may remember that I was going through a similar process last year for the three-course certificate for pelvic physical therapy—I submitted the case report in February and just got the edits back from the case report committee. I'll be incorporating their edits and will have this re-submitted within a few weeks. I started the first of these courses just after graduation from PT school (and while I was cramming for the board exam! ), and I hope to have both my pelvic and my pregnancy & postpartum physical therapy certificates before I leave for Africa. Although holding these certifications does not give me any more letters behind my name, they signify a significant amount of post-graduate education and clinical competency in the evaluation and treatment of this unique population. Sadly, I had just one lecture in my physical therapy program regarding therapy during pregnancy, so nearly everything I've learned at these five courses is brand new! I'm excited to see how this advanced training comes into play in a mission hospital setting and working with women who have very little access to prenatal care!